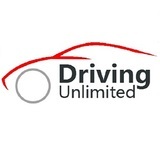 Learn to drive with Wests School of Motoring, we are an independent Driving School based in Romford, offering affordable one to one lessons that are tailored to your individual needs. Very high pass first time pass rates. Pupil's achieve the highest standard needed not only to pass the driving test but to drive safely for life. Top of the range, easy to drive air-conditioned Peugeot 207 vehicles, with power steering and dual controls. With fully qualified DVSA approved Instructors. Whether a complete beginner, already passed the test but need extra help with parking, motorway driving or need a refresher course after a break from driving. Perhaps, you may like to take the Pass Plus course, then Wests School of Motoring can help. Please ask for any other areas not listed above. I had had a couple of lessons with a different instructor before going to Wests School of Motoring and I never looked back! Phil is an excellent instructor and without his patience and sense of humour I never would have passed. 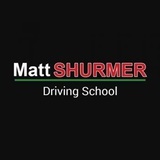 I would highly recommend this driving school to anyone, and will be definitely taking the PassPlus course soon! Thanks again Phil. I would like to say a massive thank you to Phil for all his hard work in helping me pass my test. He is an amazing instructor for having the patients and never giving up on me. He was always supportive and encourage-able. He knows when he needs to be stern or when not to be to make you succeed in your driving. Phil is a great guy who makes your driving experience fun and enjoyable. Phil never gave up on me even when i did, he pushed me to continue. In which i am forever grateful. He has given me confidence In my driving and I wouldn't been able to pass without him. So a massive thanks Phil. I would defiantly recommend. I passed my driving test first time with Phil having only five minors.  He is very methodical, reliable, friendly and professional. I previously was with a different driving school who let me down on multiple occasions, it did have an impact on my confidence. Phil quickly rectified this and helped me become a much more confident and focused driver. I wouldn't hesitate to recommend him to family and friends. Thanks Phil for helping me get through my test. Great instructor! If your looking for someone to bond with quick so you can make the most out of your driving experience then this is the man. Such a great guy, won't stop until you succeed. Always on time and keeps you updated. Such a funny guy, makes you feel relaxed and comfortable in his car. Trains you above the test standard so you go in the test bags of confidence and pass without a drop of sweat. What you pay for is definitely 110% what you get. Prompt, reliable, professional and all-round good at his job. He will make you feel at ease and help you to become confident behind the wheel (which in my experience is half the battle). Phil allowed me to make my own mistakes before explaining why/how I made that mistake and how I can avoid doing the same thing again, which I found to be very beneficial. Car is clean, well maintained and an all round smooth drive. Phil is a brilliant instructor with A LOT of patience! He helped me to gain confidence in my driving and was always challenging me to do better, and from that I managed to pass first time!! 100% track record with my family as he also taught my brother who also passed first time - thanks Phil! Can't praise phil enough he was reliable, professional and made me at ease from minute 1, he got me through my test in double quick time with 0 faults !! I would highly recommend him to anyone. I passed my driving test first time with 0 faults. Phil is very patient and instills confidence in those drivers who are unsure of their driving ability! I have been set up to be a safe driver for life and I owe this all to Phil! Thanks Phil! 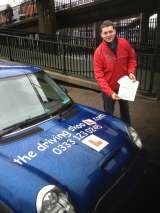 Friendly instructor with tons of experience to match individual needs towards passing their test on their first attempt. Would recommend him to anyone! Thanks Phil, Safe driving!